Rolling on a seven-game win streak, No. 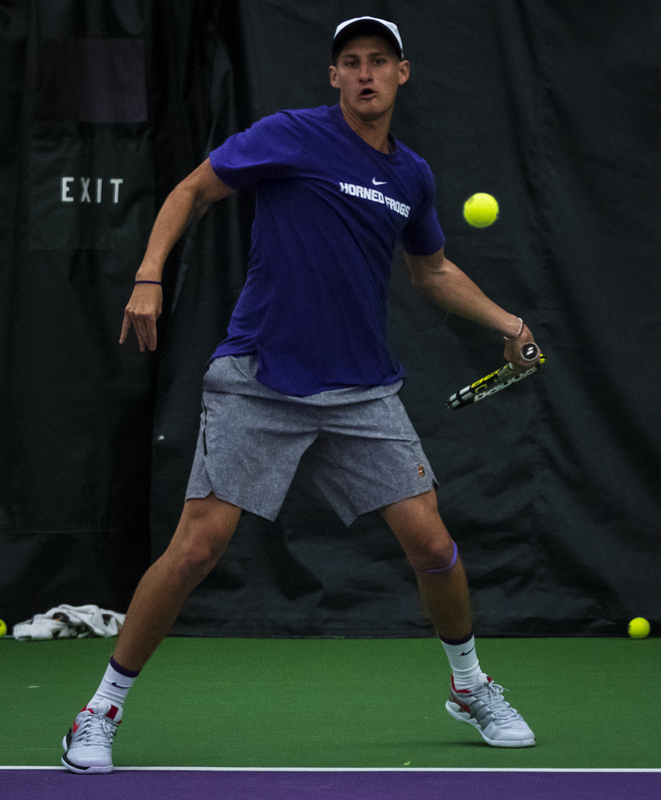 10 TCU will look to extend it against the tennis powerhouse Columbia Lions. Columbia has played four fewer matches than TCU but still holds an impressive 9-1 record, going 6-0 at home. Their one loss was to No. 1 Wake Forest in the first round of the ITA National Team Indoor Championship. The Lions have three nationally-ranked players, the highest of which is No. 16 Jack Lin, who has posted a 5-3 singles record on the year. This includes a recent 0-6, 2-6 loss to an unranked SMU athlete. Lin started the season as the Lions’ No. 1 singles man but has been pushed to the second slot by No. 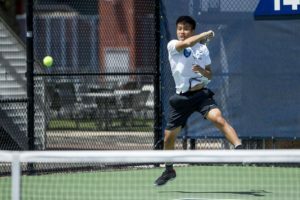 41 Victor Pham, who has started the season with an impressive 7-1 singles record. Pham and Lin will be great tests for TCU’s top two players: No. 7 Alex Rybakov and No. 25 Alastair Gray, who hold a combined 17-2 singles record. The updated rankings also have Bertus Kruger entering at No. 115 and the Kruger/Reese Stalder doubles team at No. 6 , the highest of their doubles career. After a 0-2 start, they’ve been on an 11-1 streak, winning their last six matches. In doubles, the Columbia team of Lin and Jackie Tang sit one spot above them at No. 5 nationally. After Columbia, TCU only has No. 35 Arizona State and SMU remaining in non-conference play. The match begins at 6:30 p.m. and will have free Buffalo Bros Pizza for all fans in attendance.